Trade Desk Inc (NASDAQ:TTD) raised its earnings projections in a report released on Thursday thanks to a big gains from its advertising on streaming-video services. The gain caused the company’s stock to raise 22% in after-hours trading. The company reported $85.7 million in sales and beat the $73.2 million FactSet consensus. The company reported adjusted earnings of 18 cents per share surpassing the projected 10 cents per share. In a statement, the company’s Chief Executive Jeff Green said that the strong results were driven by impressive overall online advertising business which was as a result of mobile video and streaming TV. He added that streaming business is the fastest growing businesses of the business. The company is experiencing a growth in its inventory which has been attributed to a large number of big brands which are shifting to streaming TV advertising. 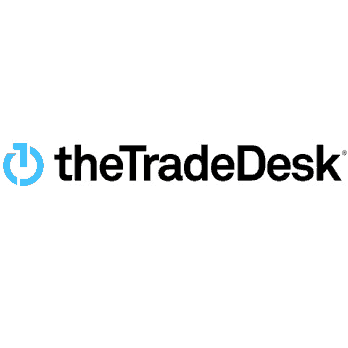 In its earnings report, Trade Desk said that it recorded a growth in connected TV spending by close to 2,000% year-over-year in the first quarter of 2018. According to Green, the growth is an indication of some of the big names in industry are increasingly embracing connected TV and video and are moving large amounts of their budgets into the market. The huge increase in spending plus the raise in connected-TV ad inventory has led to increase in demand for automated methods of filling it, which is referred to as “programmatic advertising” in ad-industry jargon. This is where Trade Desk’s main business is focused. According to Green, many consumers have discovered that on-demand video offers a much better experience hence many are going online to get their favorite shows. Many are using streaming devises sold by Roku Inc (NASDAQ:ROKU) and its rivals in the market. According to Green, many consumers in the US are turning to connected TV content and turning away from cable and other ad-free streaming services like Netflix, Inc. (NASDAQ:NFLX). This has rapidly scaled up the demand for ad-supported TV viewing. In Asia and other continents, ad-supported channels are always preferred compared to ad-free networks. Money always shifts with demand. The raise in demand is what is scaling the company’s stock gain.